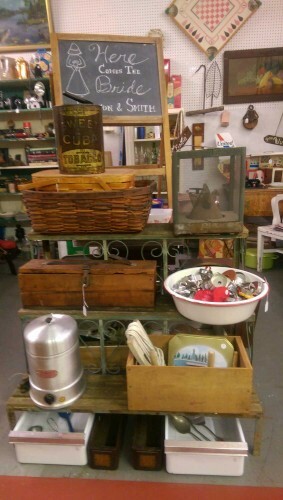 A trio of lovely antique advertising pieces. 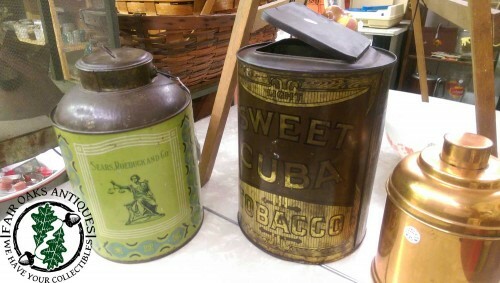 The first two are very large tins, one for Sears Rivera Brand Coffee and the other for Sweet Cuba Tobacco. 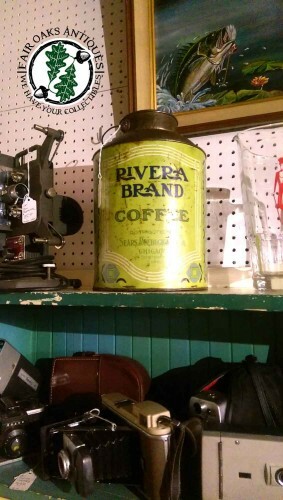 All of these are in our space at SuLaine’s Antique Mall, Detroit Lakes, MN. 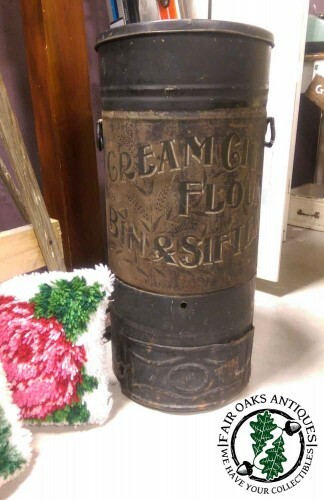 If you were impressed by the size of those cans, check out this huge antique Cream City Flour Bin & Sifter! 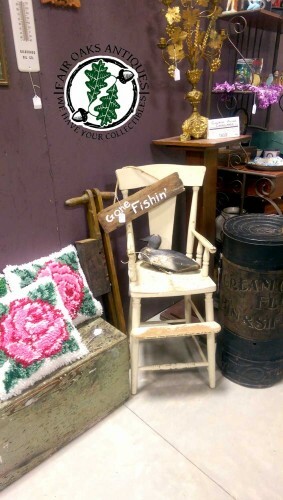 And, for a better idea of just how large this antique flour sifter is, here it is shown next to a vintage high chair & other items in our booth at F.A.R.M. (booth #40, right next to check-out desk). 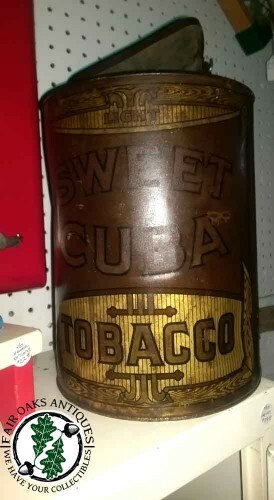 UPDATE: Just learned that the Sears, Roebuck and Company (Chicago) tin sold. The rest are still available! 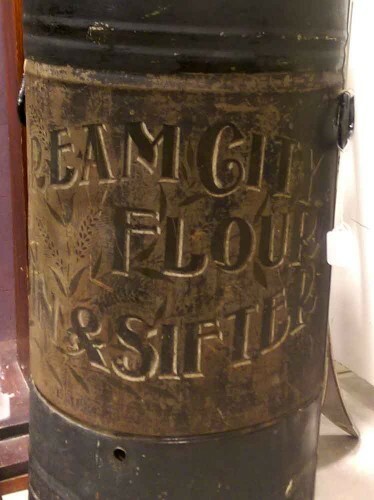 One Response to "Antique Advertising Tins"